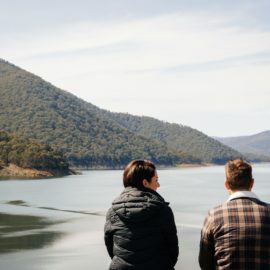 Located just over an hour from Wodonga at the headwaters of the Mitta Mitta River, Lake Dartmouth is Victoria’s largest water storage and boasts the largest earth-walled dam in the southern hemisphere. Gold was discovered in the area in 1874 and today there are three heritage gold battery sites around Dartmouth. 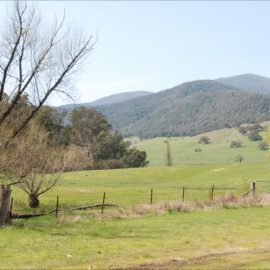 Dartmouth grew in 1970 when approval was reached under the Murray River Agreement to build the Dartmouth Dam where several streams converged at the Mitta Mitta headwaters. Construction of Lake Dartmouth began in 1973 and a township was provided for the contractors and workforce. 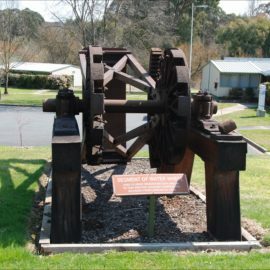 The township included a shopping centre, town hall, primary school, sports ground and caravan park. In 1976 the population was almost 1600 people. 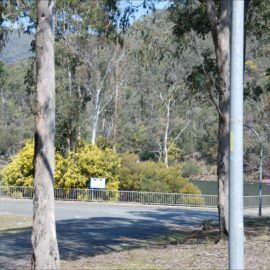 When Lake Dartmouth was completed in 1978 it had a capacity of 4 million megalitres. Today, the peaceful Dartmouth area has a population of 104 people, however there is always lots going on in and around Dartmouth. 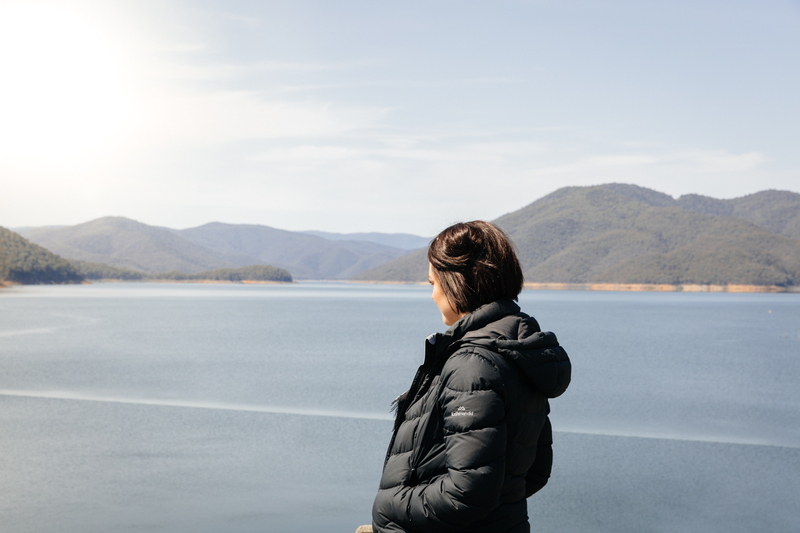 Dartmouth is perfect for those who have a love for the outdoors, with bush-walking, fishing, motorcycling, white-water rafting, four wheel driving, hunting, camping and hiking all very popular. Lake Dartmouth boasts great fishing and holds several fishing competitions each year. A boat ramp can be found near Six Mile Creek to enable easy access to Lake Dartmouth. The town currently has a post office, general store, pub, motel, several bed and breakfasts and a caravan park. Just a 5km drive from Dartmouth, next to Lake Dartmouth dam wall, there is a viewing area and lookout. This is a great spot to take out the camera and appreciate the beauty of the area. 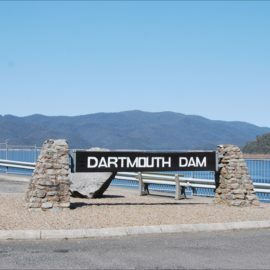 A visit to Dartmouth is not complete without a visit to Dartmouth Dam Display Park, offering a fantastic display on the operations of the Power Station. There are picnic tables, a BBQ and lots of shade making it the perfect spot for a relaxing picnic. If you would like to get away from the hustle and bustle of city life and enjoy the fresh mountain air, then Dartmouth is just the place for you.